Malcolm X is assassinated by three Black Muslim gunmen in New York City. Malcolm X had split from the Nation of Islam almost a year before and had escaped several other attempts on his life in the subsequent months. Reportedly, he was going to publicly reveal the names of the assassins who had been sent to kill him, but was killed at the Audubon Ballroom before he had the opportunity. The break between Malcolm X and the Nation of Islam had its roots in a wide range of matters. Ironically, Malcolm X had been suspended from the group for stating that the murder of President Kennedy was a case of "chickens coming home to roost." However, the rift was probably due more to the fact that the dynamic and charismatic Malcolm X was challenging the leadership of Elijah Muhammad. His fame threatened the Nation of Islam leaders. When he officially broke from the group, they worried that he would draw away most of their supporters. Malcolm X, constantly aware that his life was in danger, may have had particular worries on February 21. He called his wife, Betty Shabazz, and had her bring their children to the Audubon Ballroom where he was giving a speech later in the day. This was not his usual practice and he may have wanted to see his family a final time. He also declined to institute any security measures for the speech. After he was introduced, but before he could address his supporters, three gunmen in the audience fired several shots at Malcolm X. One of the men, Tommy Hayer, was shot in the leg by one of Malcolm X's bodyguards and caught by the crowd. The other two, Norman 3X Butler and Thomas 15X Johnson, were caught later. Malcolm X died instantly. Malcolm X's body was put on display at a funeral home in Harlem the following day and it is estimated that 30,000 people came to view it. Actor Ossie Davis delivered the eulogy at the funeral. In the meantime, his supporters vowed revenge against Elijah Muhammad and the Nation of Islam. The Chicago home of Muhammad Ali, a Nation of Islam member, was burned down shortly after the assassination. However, Elijah Muhammad's rhetoric against Malcolm X continued, blaming the civil rights leader for his own death. The feud between the factions continues to this day. In 1995, one of Malcolm X's daughters, Qubilah Shabazz, was prosecuted for attempting to hire a killer to murder Louis Farrakhan for his alleged involvement in the assassination. While Farrakhan was certainly part of the climate that caused Malcolm X's death-he wrote many articles violently denouncing him after the split-it is highly unlikely that he ever had any contact with the assassins. 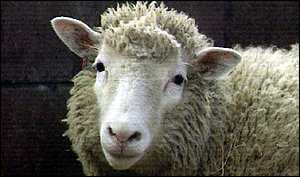 Feb. 23, 1997: British scientists confirmed that they had cloned an adult sheep from a single cell. -A group of genetically identical individuals descended from the same parent by asexual reproduction. Many plants show this by producing suckers, tubers or bulbs to colonise the area around the parent. -A group of genetically identical cells produced by mitotic division from an original cell. This is where the cell creates anew set of chromosomes and splits into two daughter cells. This is how replacement cells are produced in your body when the old ones wear out. -The production of genetically identical animals by 'embryo splitting'. This can occur naturally at the two cell stage to give identical twins. In cattle, when individual cells from 4- and 8-cell embryos and implanted in different foster mothers, they can develop normally into calves and this technique has been used routinely within cattle breeding schemes for over 10 years. -The creation of one or more genetically identical animals by transferring the nucleus of a body cell into an egg from which the nucleus has been removed. This is also known as Nuclear Transfer (NT) or cell nuclear replacement (CNR) and is how Dolly was produced. The most memorable launching at White Sands, however, came on February 24, 1949, when a V-2 boosted a WAC Corporal rocket developed by the Jet Propulsion Laboratory 244 miles into space and to a speed of 5,510 miles per hour, the greatest altitude and velocity yet attained by a man-made object. 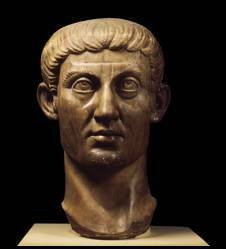 Gaius Flavius Valerius Aurelius Constantinus (Latin: IMP CÆSAR FLAVIVS CONSTANTINVS PIVS FELIX INVICTVS AVGVSTVS ¹) (February 27, 272–May 22, 337), commonly known as Constantine I, Constantine the Great, or (among Orthodox Christians) Saint Constantine, was proclaimed Augustus by his troops on July 25, 306 and ruled an ever-growing portion of the Roman Empire until his death. Constantine is famed for his refounding of Byzantium (modern Istanbul) as "Nova Roma" (New Rome) or Constantinople (Constantine's City). Constantine is best remembered in modern times for the Edict of Milan in 313 and the Council of Nicaea in 325, which fully legalized Christianity in the Empire for the first time. These actions are considered major factors in that religion's spread, and his reputation as the "first Christian Emperor" has been promulgated by historians from Lactantius and Eusebius of Caesarea to the present day, though he himself was baptized only on his death bed. 1919 1st public performance of Holst's "The Planets"
Feb. 28, 1922: Britain declared Egypt to be a sovereign state. WSM-FM is a Nashville, Tennessee FM radio station. It began on an experimental license with callsign W47NV, and was the first commercial FM radio station to be granted an FCC license in the U.S.
Pioneer 10, the world's first outer-planetary probe, is launched from Cape Canaveral, Florida, on a mission to Jupiter, the solar system's largest planet. In December 1973, after successfully negotiating the asteroid belt and a distance of 620 million miles, Pioneer 10 reached Jupiter and sent back to Earth the first close-up images of the spectacular gas giant. In June 1983, the NASA spacecraft left the solar system and the next day radioed back the first scientific data on interstellar space. NASA officially ended the Pioneer 10 project on March 31, 1997, with the spacecraft having traveled a distance of some six billion miles. Headed in the direction of the Taurus constellation, Pioneer 10 will pass within three light years of another star--Ross 246--in the year 34,600 A.D. Bolted to the probe's exterior wall is a gold-anodized plaque, 6 by 9 inches in area, that displays a drawing of a human man and woman, a star map marked with the location of the sun, and another map showing the flight path of Pioneer 10. The plaque, intended for intelligent life forms elsewhere in the galaxy, was designed by astronomer Carl Sagan. Congress establishes the United States Geological Survey, an organization that played a pivotal role in the exploration and development of the West. Although the rough geographical outlines of much of the American West were known by 1879, the government still had astonishingly little detailed knowledge of the land. Earlier federal exploratory missions under men like Ferdinand Hayden and John Wesley Powell had begun to fill in the map, yet much remained to be done. Congress decided to transform the earlier system of sporadic federal geological explorations into a permanent government agency, the United States Geological Survey (USGS). Looks like I missed my lesson today. Michelangelo is famous for creating the fresco ceiling of the Sistine Chapel, as well as the Last Judgment over the altar, and The Martyrdom of St. Peter and The Conversion of St. Paul in the Vatican's Cappella Paolina; among his many sculptures are those of David and the Pietà, as well as the Doni Virgin, Bacchus, Moses, Rachel, Leah, and members of the Medici family; he also designed the dome of St. Peter's Basilica. March 7, 1965: about 525 people began a fifty-four mile march from Selma. On Sunday March 7, 1965, about 525 people began a fifty-four mile march from Selma, Alabama to the state capitol in Montgomery. They were demonstrating for African American voting rights and to commemorate the death of Jimmie Lee Jackson, shot three weeks earlier by an state trooper while trying to protect his mother at a civil rights demonstration. On the outskirts of Selma, after they crossed the Edmund Pettus Bridge, the marchers, in plain sight of photographers and journalists, were brutally assaulted by heavily armed state troopers and deputies. 2/22- it is funny how the crusaders turned the sunnis and shieas against each other to weaken them. I guess the more things change, the more they stay the same.